Just use it. Your clients already love it." * the programme is temporarily unavailable. 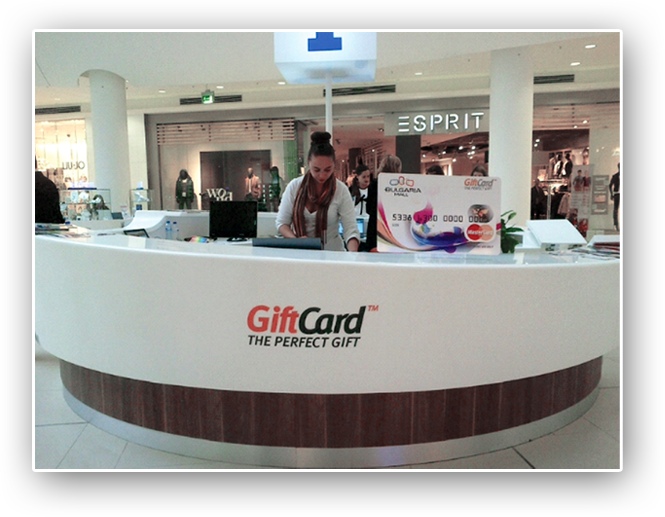 The shopping center ensures a top location (information desk or separate kiosk), sales consultants and the GiftCard sales. GiftCard takes the responsibility for co-branded GiftCard issuing, sales platform (connected with the GiftCard Authorization system), sales and transaction proccesing, training, reporting in real time and 24/7 support.